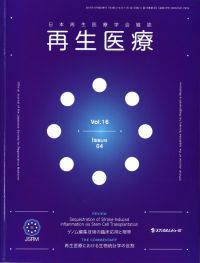 Regenerative Therapy is the official peer-reviewed online journal of the Japanese Society for Regenerative Medicine. 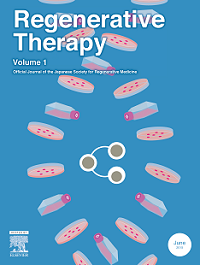 Regenerative Therapy is a multidisciplinary journal that publishes original articles and reviews of basic research, clinical translation, industrial development, and regulatory issues focusing on stem cell biology, tissue engineering, and regenerative medicine. I am delighted to celebrate the launch of Regenerative Therapy, a new multidisciplinary, peer-reviewed journal that publishes original research in stem cell biology, tissue engineering, and regenerative medicine. Regenerative therapies provide innovative approaches to deliver revolutionary cell-based products that could treat a range of debilitating diseases, which cannot be treated with conventional medicine. The primary goal of our endeavor is to implement suitable treatments to our patients as rapidly and as safely as possible. Regenerative Therapy is a journal for all players pursuing this endeavor in the arena of regenerative medicine. It provides an important forum to address critical issues in the field, exchange new ideas and disseminate the latest developments in basic research, clinical translation, industrial development and regulatory issues focusing on tissue engineering, regenerative therapy, stem cell biology and cell engineering. Regenerative Therapy plays a valuable role in accumulating scientific data and promoting science-based industrial development and harmonization of regulatory issues for cell-based products. The journal also explores ethical, legal, and social perspectives on regenerative medicine. We hope Regenerative Therapy will become the primary platform for researchers to share findings and discuss all aspects of regenerative therapy in the development of future innovations that will benefit the international community. We are now welcoming submissions for future issues of the journal. Together, let’s make regenerative therapy happen. Copyright © The Japanese Society for Regenerative Medicine. All Rights Reserved.